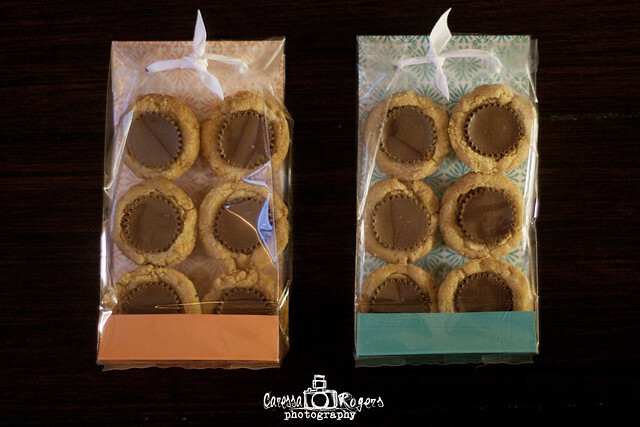 Caressa Rogers Photography: The Queen Gift Wrapper! In my opinion my mom is the queen of gift wrapping! She comes up with the most creative ways to wrap things. I've grown up with people gushing more over the way my mom wrapped gifts than the gifts themselves. She got me these cute little Martha Stewart treat bags a while ago when browsing a sale at Michael's. I just pulled them out the other day and slide these Recies cookies in them... How cute are they!?! I've decided I am going to start being creative with my gift wrapping. First project: New print packaging for my clients!